Project Manager is an Extension for Hub Planner which can be installed and activated on the Extensions page in Settings. Assigning a resource as project manager for a project helps you create ownership and accountability for that Project. It enables Project Managers to quickly view their managed teams and track & schedule their time. What is a Project Manager? Being a project manager means that you are entitled to manage a Project, even if you may not normally have privileges to do that on a role basis. For example, if you only are a team member or don’t have rights to edit bookings on the grid, but you are a project manager, you can edit that project on the scheduler bookings grid. What Does a Project Manager have rights to do? A Project Manager will get a new “Managed Projects” group in their sidebar to quickly view the projects they are managing. Enabling the Project Manager Extension will activate the following functionality within Hub Planner. 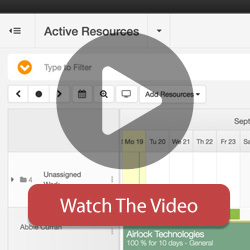 Project Managers can Book and Schedule on the Scheduler Bookings Grid they are Managing. You can assign multiple resources to a project to be Project Managers and any resource can be set as a PM.